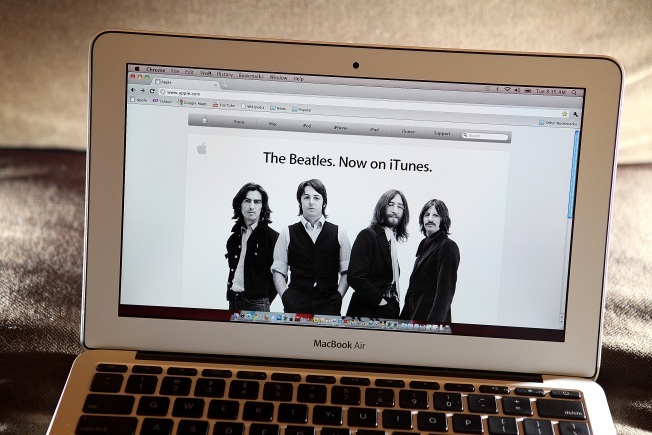 When Apple computers and Apple records finally ended their legal fight, allowing Beatles songs to flow through iTunes, well ... it was the biggest no-brainer in the history of no-brainers. The Hollywood Reporter has confirmed that more than 5 million Beatles songs were purchased in only two months. That includes 1 million full albums that were consumed, too. All 13 studio albums are available at $12.99 each. Songs are priced at $1.29. The most popular song? "Here Comes the Sun" from Abbey Road -- coincidentally, the most popular album downloaded, too.